When I was at Six Form in the mid 1980s, I spent a summer holiday working as a domestic at Brookwood Hospital in Woking. It was one of those huge old Victorian "Mental Institutions" that was a community in itself. The size of a small village, it had at various times a dairy farm, a cobbler's workshop, a large ballroom, its own fire brigade, gasworks and sewage farm. As an outsider to the hospital, it was sometimes hard to tell who was staff and who was patient, there were stories of elderly people who had been there since childhood, too institutionalised to leave. Places such as Brookwood, had many names, names that often jar today's sensibilities. "Asylum" for starters. And "Lunatic" with its connotations of being ruled by the madness of the moon. Brookwood was opened in 1867 as the Brookwood Asylum, holding 650 pauper lunatics, whose maintenance was mostly paid by the poor law unions. 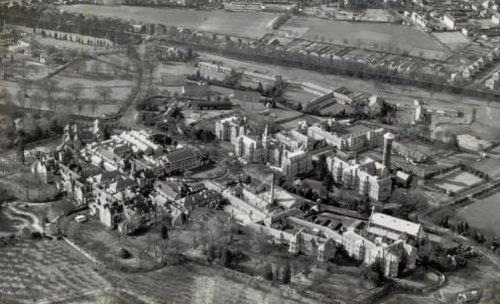 Until 1919 it was referred to as the Brookwood Asylum or Surrey County Lunatic Asylum, when it was officially renamed Brookwood Hospital. But names stick, and it's that term Lunatic Asylum, aka Loony Bin, that is the theme of today's blog for the project 'The Homeless Library'. 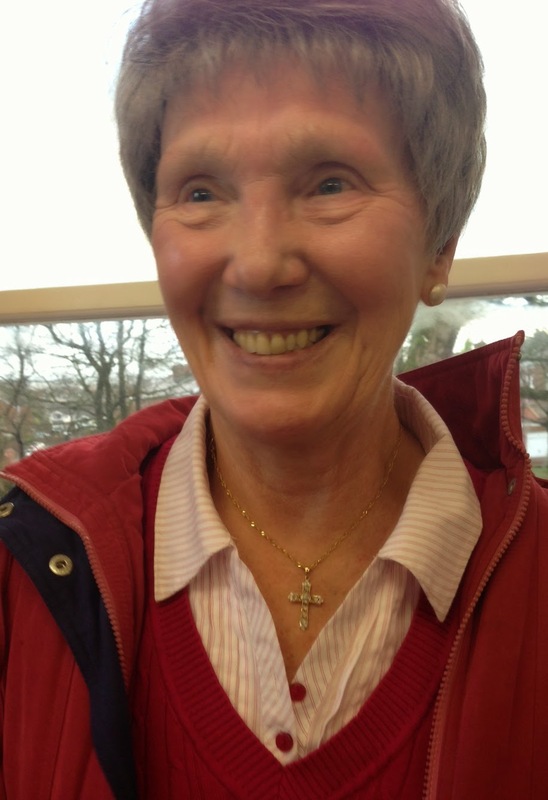 We've started work on the Library by interviewing older people about their recollections of homeless people, migrants, bombed out families, tramps, The Salvation Army, The Workhouse - and the asylums. As you will read below, these places weren't only used to treat mental health problems, they were also a punishment for people like unmarried mothers. Preswich hospital, a women I knew, 50 years in there- went in with milk fever aged 37, died 87 never left the place. Kids used to say it was the loony bin. Once you were there, that was it, you never came out... We used to go visiting in the hospital and one of the nurses told me about her. She used to spit, they kept her away from the others on a chair with lino under it so she wouldn't spoil the carpet. Fairfield, (Hospital) they’d put people in there if they were pregnant and they’d never come out. The babies most likely adopted, someone with money- who else could afford another child? Fairfield, what used to be the workhouse. Between the wars, I had an Aunty who was in the workhouse, she couldn’t read or write. She was taken in there because her parents had died and she was so poor. There was 14 children in a two up two down. So many children in a two up two down, you didn’t sit down until you started work- there wouldn’t be room. You could end up in Fairfield if you showed unusual behaviour, even going through the ‘change’. This is in living memory, not all that long ago since the workhouse closed. My aunty came out, she married an army man and had 3 children. Thanks to all the group at the 'Piece of Mind Cafe' at Tottington Library, Bury for welcoming us into their group and sharing their memories with us.